If you're always wrestling with a tangled garden hose, then this sturdy loop hook is the answer. Solid enough to support even the most cumbersome heavy-duty garden hose, it makes coiling and storing your hose simple, for kink-free use every time. Featuring non-slip foam rubber, this hook easily mounts to slat wall or a regular wall, and lifts up and out of the way when not in use. 12-inch Jumbo Arm Hook with 50-Pound Weight Capacity Any hard-to-hang or oversize item will easily hook onto this jumbo 12-inch hook. Designed to hold up to 50 pounds and made to install wiggle-free using two pre-drilled anchor holes (screws not provided), organizing and arranging whatever clutters up your garage workshop, basement or garden shed has never been simpler or faster. 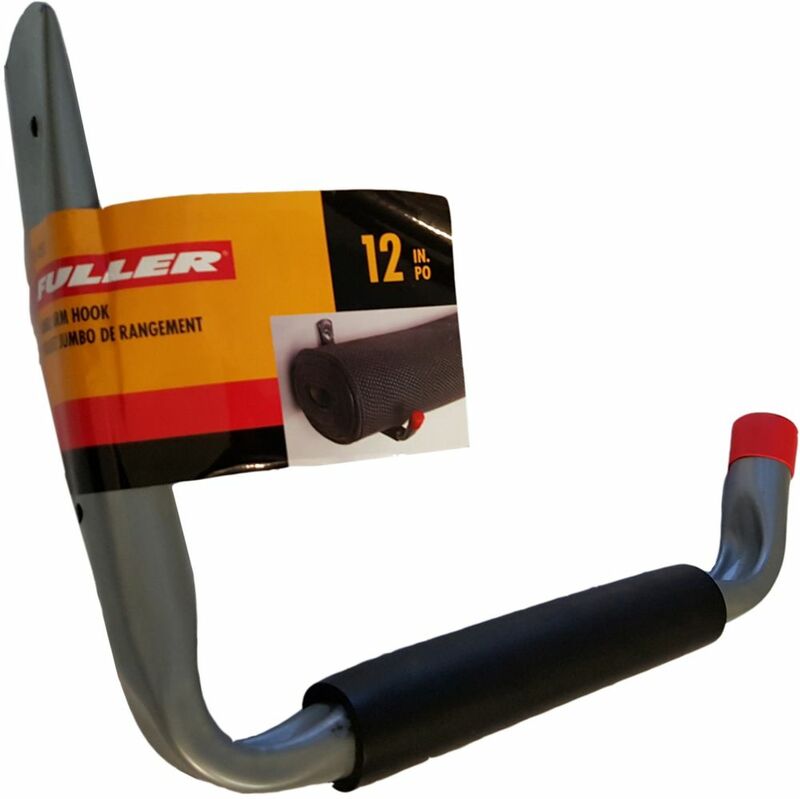 Tipped with rubber caps for safety, this wall-mounted arm hook is both durable and corrosion resistant.